HEMPSTEAD, Texas – The success of the annual Waller County Fair and Rodeo runs equivalent to the support it receives around the southeast Texas communities within its borders. The volunteer-based exposition is one of just five county fairs in the state that is not underwritten by the county government. 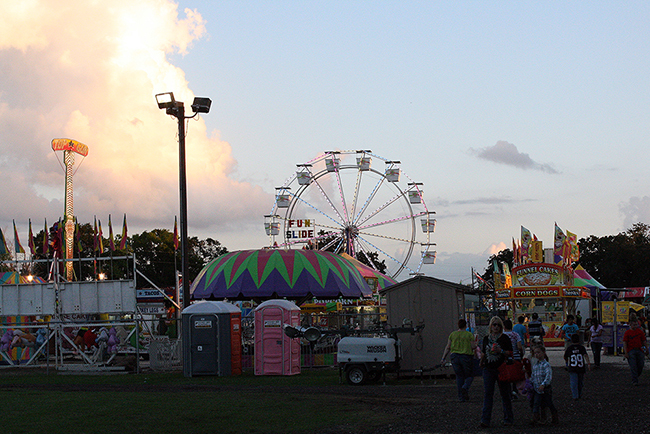 Every ounce of financial support – gate admission, sponsors and donations – helps the fair board toward its mission for the youth of Waller County. Yes, it has. From great food to a world-class rodeo to seven top-flight concerts, fairgoers have a host of activities and entertainment options to consider. The youth is not just the mission for the fair board; it’s more of a meaningful thought process that each volunteer carries as they go about the tasks of preparing and producing the exposition. By having a solid base of sponsors, that financial support opens the doors for so many other opportunities. That partnership continues to pay off, but there are also other friends of the fair who donate to the cause. Each spring, the fair board organizes a big crawfish boil and auction – a fundraiser that allows bidders to purchase a variety of auction items. This event has grown substantially in the past few years allowing the fair to upgrade the facilities and continue to grow the scholarship fund. “We have the same group of core buyers that come to the fair in October for the exhibit auction, and they also come to the fundraiser in April and spend quite a bit of money,” Shollar said. It goes back to that foundation. Doing positive things draws positive results, especially when the end game is for the betterment of youth in the county. About 150 people register for the exhibit auctions every year. The key there is that the students who show the exhibits are the direct beneficiaries of the auction – all money that goes through the bidding process is directed to the exhibitor. From 2005-2017, there has been an average of 200-220 lots in the exhibit auction. It truly is a fair for the next generation.